Out of the blue - in 1939, in rooms at All Saints College, Oxford - a certain Miss Adelina McWhirter paid a visit to another Dr. John Watson, leaving behind, after an exchange of money, a beat-up metal box full of old papers. But the volatile political circumstances of the day (the bombing of Britain, etc.) kept this second Watson, himself a Sherlockian scholar, from then publishing what he had fortuitously acquired. There are no such obstacles in the present day. 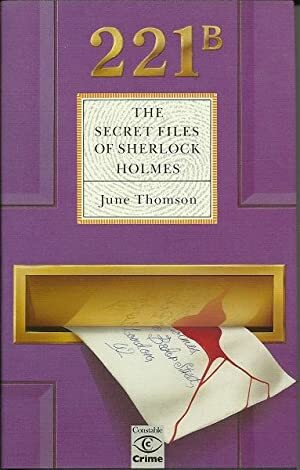 And thanks to Aubrey B. Watson, heir to the precious cache, seven heretofore untold cases investigated by Sherlock Holmes with the assistance of the always estimable Watson can be laid before the expectant public. JUNE THOMSON a former teacher, has published over twenty crime novels including other pastiches of Holmes’ short stories available from Allison & Busby. Her books have been translated into many languages. She lives in St Albans, Hertfordshire.